I spent 12 years asking the question, “Is the Bible true?” If it wasn’t then what should I put my faith in? What I found was an amazing pattern of evidence that matched many of the events recorded in the Bible. There was a real history that could be seen. For me that changed everything. I encourage you to join me in the ongoing investigation and see the Bible affirming evidence for yourself. However, the film is not one-sided. It takes a balanced approach, allowing viewpoints from all sides to be heard in a respectful way. 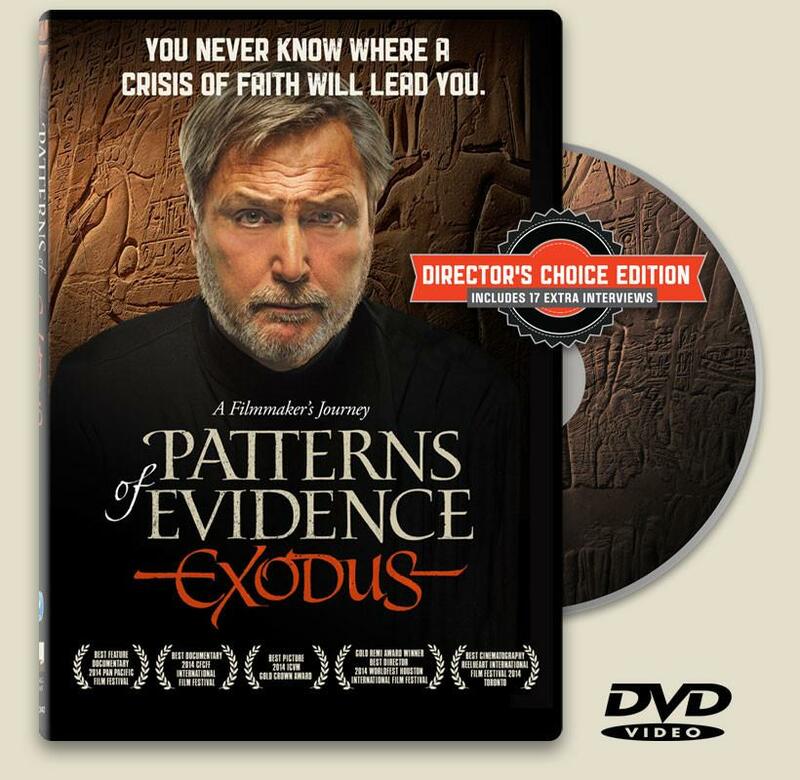 This makes the film more shareable to those with differing viewpoints, and will leave the audience to decide for themselves if the Bible is really History or just a myth. I personally felt the film was a bit slow-moving, and I actually fell asleep a couple of times while watching it. But, if you watch it when you are not tired, and you don't mind a slow moving documentary, the film is very informative and has a lot of eye-opening moments. It could produce a lot of great discussion among your family and friends! Some of the evidence that was discussed includes: evidence for the Jews living in Egypt, evidence of the plagues on Egypt, evidence of a mass exodus of the people, and evidence for the conquest of Canaan. You can also enter below to take part in a random drawing for one copy of this DVD. Entries will be accepted through Sunday, August 27, 2017 at 8:00 p.m. Central Time. Must be 18 or older to enter. Continental U.S. only. Disclosure (in accordance with the FTC’s 16 CFR, Part 255: “Guides Concerning the Use of Endorsements and Testimonials in Advertising”): Many thanks to Propeller Consulting, LLC for providing this prize for the giveaway. Choice of winners and opinions are 100% my own and NOT influenced by monetary compensation. I did receive a sample of the product in exchange for this review and post. Only one entrant per mailing address, per giveaway. If you have won a prize from our sponsor Propeller /FlyBy Promotions in the last 30 days on the same blog, you are not eligible to win. Or if you have won the same prize on another blog, you are not eligible to win it again. Winner is subject to eligibility verification.